Sébastien Leria's "Fitmeals: Eat Healthy & Stay Fit" teaches the science and methodology behind eating for weight loss and health. This is not a book telling you to follow a trendy diet. Leria gives you the science behind nutrition (macronutrients, micronutrients, minerals, etc.) He also includes a bunch of healthy recipes as well as nutrition facts for a bunch of veggies and fruits. A few of the other topics covered are how to avoid cravings, what gluten-free means, and how to portion size. For me, the highlight of the book is the way the information is presented. A layout that is easy on the eyes, and the perfect amount of info to give you practical knowledge for eating healthy. 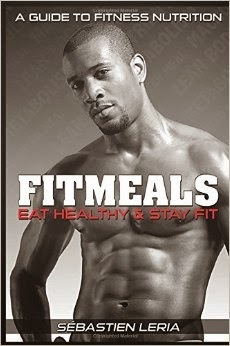 "Fitmeals" advocates looking at the nutritional needs for the specifics of your body, rather than creating a one-size-fits-all diet for everyone. A helpful read for anyone looking to improve their nutrition.